Scholars do not agree on how best to describe Shelley’s philosophical stance. His work has been variously taken to be that of a skeptic or a skeptical and subjective idealist. 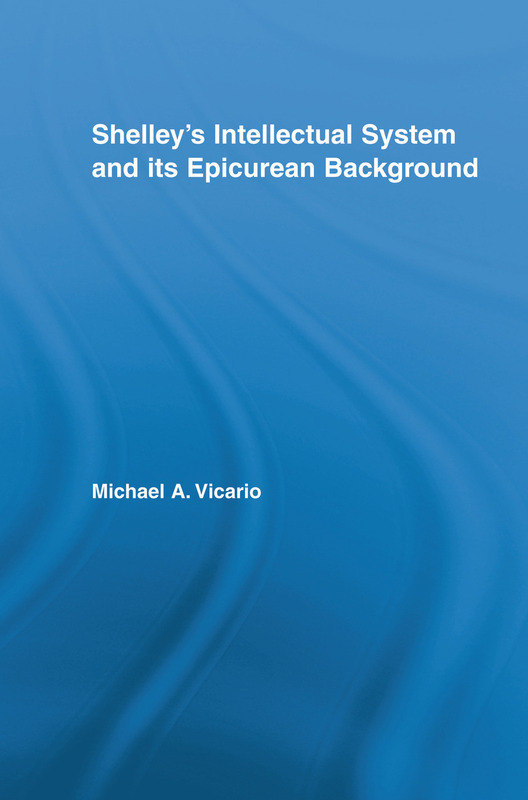 The study presents a new interpretation of Shelley’s thinking – an interpretation that places ‘intellectual system’ squarely within the Epicurean tradition of Lucretius, casting both poets as theistic empiricists. To establish Shelley as working in the Epicurean tradition, this study explores Lucretius’ De Rerum Natura as edited, translated and interpreted by two Epicurean scholars roughly contemporary with Shelley: Gilbert Wakefield and John Mason Good. These scholars rehabilitated Lucretius by drawing on three major seventeenth-century thinkers, Pierre Gassendi, Ralph Cudworth and Nicholas Malebranche. Like Shelley, each of these thinkers rejected the reduction of philosophy to mechanical and atomistic elements, a reduction which Shelley referred to as ‘materialism’ or ‘popular dualism’. What Shelley rejected is a clue to what he embraced: a fusion of Enlightenment Rationalism with British Empiricism. Such a fusion is the distinguishing mark of the work of Sir William Drummond, the only contemporary philosopher that Shelley consistently praised. This is the tradition within which Shelley ultimately stands – one that brings into balance what is given to the mind a priori and what the mind creates.